We hope you enjoy the read and we would love to hear your feedback (if any) either here on the forums or via one of our various methods of contact listed below. Settings + Custom Templates and Workflow Builder Back-End. We have plans for both an Offline Mode which will be partially completed in the 1.0 release with the remaining features being added in 1.1 through to 2.x and features to support running the plugin at run-time within your game for QA and Alpha/Beta Testers to have access to with included granular permission settings to manage QA, Private, and Public Alpha/Beta Tester submission access rights. 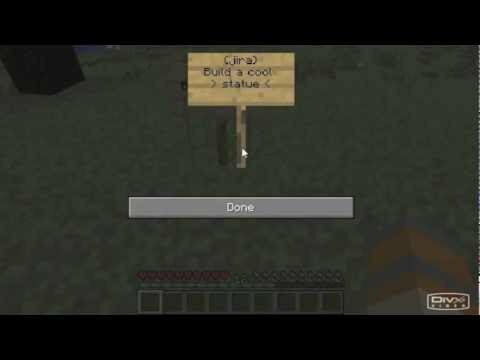 Sign/Marker with text (In-Viewport + Runtime). Area/Volume Marker (In-Viewport + Editor PanelTab + Runtime) e.g. build house/car park/shopping mall within this grid space. Which should become rather active leading up to the ODIN Tracker's release date (TBD). Last edited by BenjaminDSmithy; 08-07-2017, 11:58 AM. Reason: Added new 3rd-Party video tutorial made by Medel Design. One of our most requested features was what is now ODIN Capture of UE4 Blueprint Node Networks (ODIN-47) which allows you to take full resolution screenshots of entire Blueprints OR make use of the selective capture of BP Nodes feature for if you only wish to partially share an entire BP system. Here's another example of an even higher resolution image captured with ODIN Tracker and which processed in under a second with a perfectly crisp image with no noticeable artifacts. ODIN Capture also has a post-capture image/video/GIF editing window in-engine which allows you to make edits such as adding Blur Fields, Annotations, etc to certain areas of your captured Blueprint image or engine window. ODIN Tracker Version 0.3 | Alpha | [UNRELEASED] | Up-to-date as of March 18, 2017. NOTE: Incomplete task list that is subject to change and some JIRA Issues may be hidden from this public list for security reasons. ODIN Tracker Version 0.4 | Alpha | [UNRELEASED] | Up-to-date as of March 18, 2017. [ODIN-7] - Project tracking for already created issues. [ODIN-10] - JIRA Issue Creation. [ODIN-14] - Dedicated JIRA 'Assigned to Me' UE4 dockable window. ODIN Tracker Version 0.5 | Beta | [UNRELEASED] | Up-to-date as of March 18, 2017. ODIN Tracker Version 0.6 | Beta | [UNRELEASED] | Up-to-date as of March 18, 2017. [ODIN-9] - Source control history commit description syntaxing of JIRA Project Prefix Key. ODIN Tracker Version 0.7 | Beta | [UNRELEASED] | Up-to-date as of March 18, 2017. ODIN Tracker Version 0.8 | Beta | [UNRELEASED] | Up-to-date as of March 18, 2017. [ODIN-12] - Worklog tracker/timer tied to specific JIRA Issue. ODIN Tracker Version 0.9 | Beta | [UNRELEASED] | Up-to-date as of March 18, 2017. ODIN Tracker Version 1.0 | GA Release (Launch Date = TBD) | [UNRELEASED] | Up-to-date as of March 18, 2017. ODIN Tracker Version 1.1 | Product Service Update 1 | [UNRELEASED] | Up-to-date as of March 18, 2017. ODIN Tracker Version 2.x | Long-term features that couldn't make it into 1.x | [UNRELEASED] | Up-to-date as of March 18, 2017. ODIN Tracker Version "SomedayMaybe" | Features, Improvements & Bugfixes on the backburner | [UNRELEASED] | Up-to-date as of March 18, 2017. Last edited by BenjaminDSmithy; 03-17-2017, 09:25 PM. Reason: Updated 0.2 status to released. Q: I hate using Project Management/Tracking Solutions such as JIRA/Other and Version/Source Control Systems such as SVN/Perforce/Git/Other, how will your ODIN Tracker UE4 Plugin be any different? ​A: We understand your pain and this is actually how ODIN Tracker was born initially due to our own internal development teams struggling to manage primarily the artists from submitting incomplete issue/task reports for their work because of being unable to fully grasp the systems and/or wanting to just get back to work on their artwork ASAP. 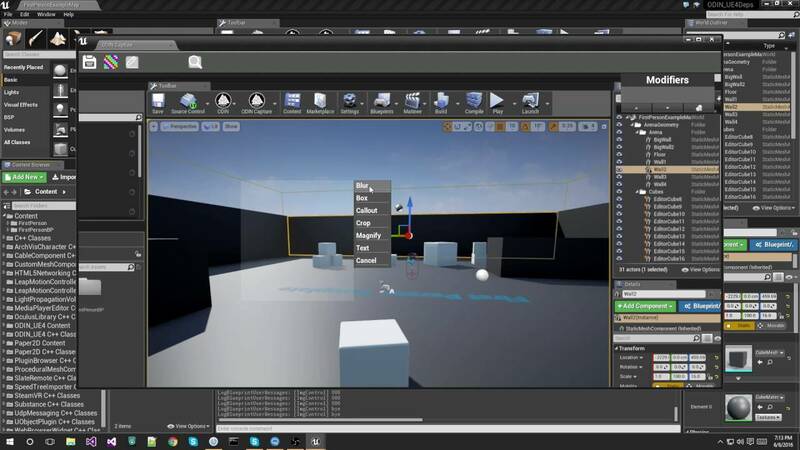 We will be creating both automated and step-by-step systems which can be completely customized by the end-user and not even require opening Unreal Engine 4 to create workflow and issue/task submitting templates. We do this by creating externally accessible data in the form of .XML and which we will be developing a separate and free UE4 Parser Plugin that we will not only bundle with ODIN Tracker but also make open-source for the public on GitHub/Other to help expand the functionality and supported formats (.txt, .md, etc) to the benefit of the community as a whole. Q: What kind of improvements can I expect to see with my workflow when using ODIN Tracker? 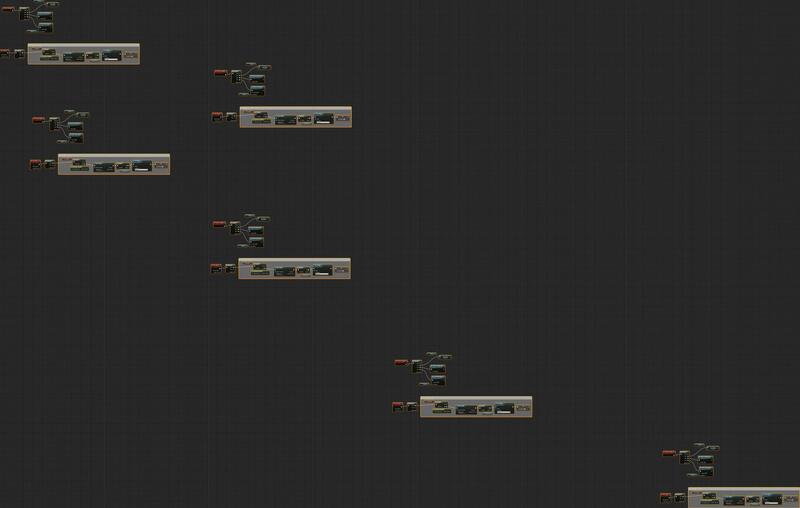 ​A: We are working towards making sure that all major workflow transitions within the ODIN Tracker UE4 Plugin take 30 seconds or less though we are shooting for 15-5 seconds in most instances. 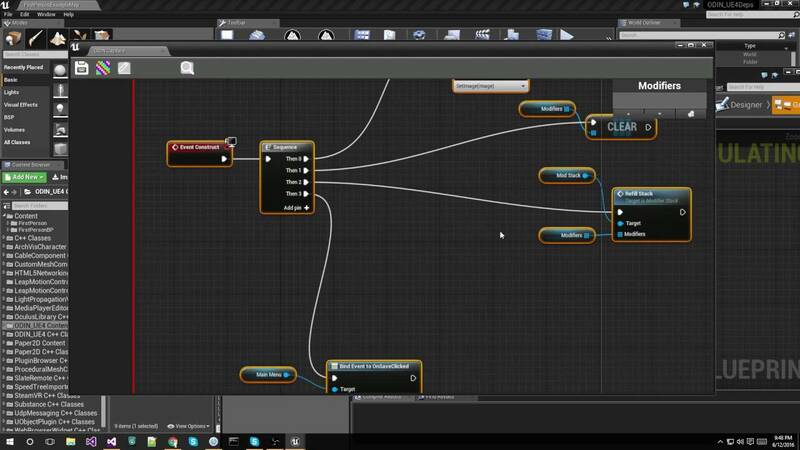 Q: I have an indie development team of 6-10+ who are on a shoestring budget, do I have to purchase an individual license for each member of my team if we want to purchase the Advanced Functionality version of your UE4 ODIN Tracker Plugin? A: We feel your pain and that is why both the basic and advanced functionality versions of the plugin will work perfectly side-by-side as to stay competitive with the indie development market. So if only 2 out of 6 of your development team need access to the Advanced Functionality version of the ODIN Tracker UE4 Plugin than instead of paying $39.95 to $59.95 X 6 = $239.95 to $359.95, you would only pay $39.95 to $59.95 X 2 = $79.95 (SAVING $160.00!) to $119.95 (SAVING $240.00!). Q: Will upgrading to the latest version of ODIN Tracker cost me money? ​A: All minor changes and bug fix releases for ODIN Tracker will be free for 1.x although we will most likely charge for major releases (2.x etc) with an offered discount of between 30% to %80 (may vary per major release) for existing 1.x customers. any chance to show some screens? Guys give this a serious look at. The power that Odin Tracker has can be a major production boost to teams or even solo devs. Video(s) / Trailer(s) will probably not be made until post-release of v0.4+ as we feel the images and GIFs we will be providing will provide more than enough insight into ODIN Tracker for the time being. - Sign/Marker with text (In-Viewport + Runtime). - Area/Volume Marker (In-Viewport + Editor PanelTab + Runtime) e.g. build house/car park/shopping mall within this grid space. Still dont know what this plugin does xD blurring images? 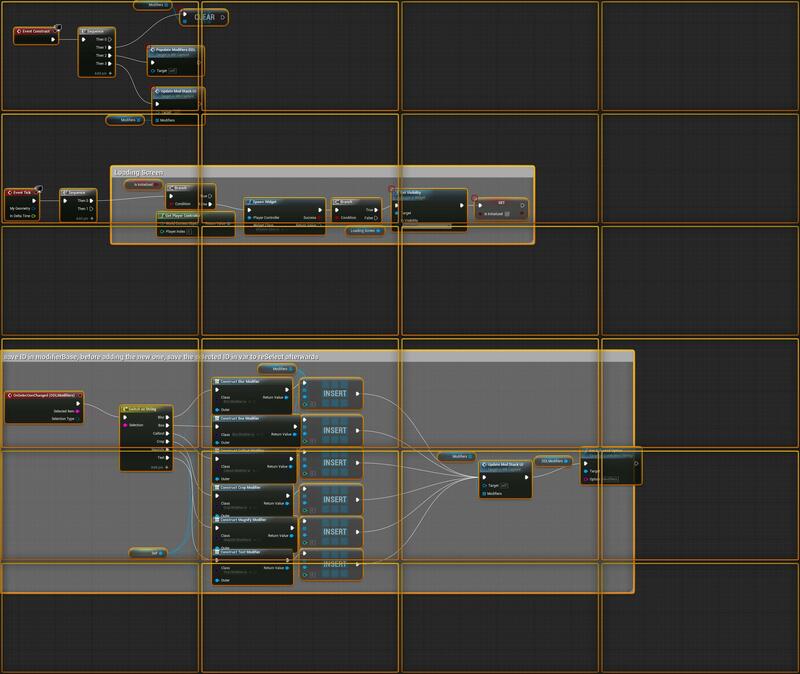 ODIN Tracker is a suite of tools including ODIN Capture which allows you to capture various sections of the UE4 Editor (including Blueprint Nodes) at full and scaled (up & down) resolution images, GIFs and videos. ODIN Capture also includes a post-capture editor built directly in UE4 where you can add annotations, blurring of sensitive data (as shown under Feature Showcases), and the ability to then save that edited image/GIF not only to your computer but also to any social network (free feature) and/or private server e.g. FTP, Dropbox, etc (paid feature) without ever leaving the UE4 Editor. We will be extending ODIN Capture to also support capture at runtime (feature release ETA = TBD) for those who may wish to include such features to their QA team, beta testers, and/or end-users/players. ODIN Tracker will also include ODIN Tasks, Time, and QA which you can find more information on above under Product Summary. Can I buy just the capture tool and install just the capture tool and only the capture tool without any other thing? For example, end-users may only wish to purchase the advanced functionality for the ODIN Tasks & Capture modules but have no need for the ODIN Time or QA modules. You will still be required to have ODIN Tracker Plugin which is the Core product (free) and you would just purchase the ODIN Tracker Advanced Functionality as an Add-on. Some functionality of ODIN Capture, Tasks, etc. will be included free of charge when you install the ODIN Tracker Plugin, so a purchase may not be necessary for you. Also we may consider releasing a 2nd very lightweight plugin for those who are only interested in the ODIN Capture functionality and are concerned about their overall storage footprint for the plugin but I will honestly say that currently that is an unlikely move for us. The ODIN Tracker Plugin folder with source code & uncompiled 3rd-party dependencies is 352MB however with compression, compiled binaries, and general optimizations (removal of debug, dev, etc. related files) we should see that footprint lowered to around 80-50mb.